The Township’s Recreation Services Division provides numerous year-round special events and community services. The Township also oversees and maintains 420 acres of active and passive recreation areas in 13 parks. Warminster Community Park is our largest, 240 acres, with over 5 miles of trails. 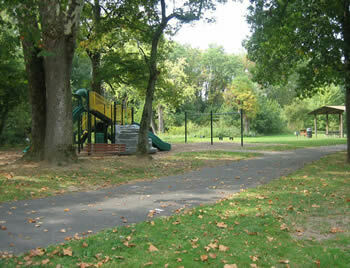 Many of our other parks are pocket parks located in neighborhoods. Sport organizations such as soccer, football, basketball, swimming, wrestling, baseball, and softball are offered by various adult and youth sport organizations throughout the seasons. Starting in January 2015, Warminster Township has partnered with the Central Bucks Family YMCA to provide the day-to-day programs that many residents have enjoyed through the Parks & Recreation Department. Many of our instructors have transitioned to the Y to provide the same quality activities that residents have come to expect. Many of the programs continue to be held at the WREC @ Warminster Community Park (WCP), 1100 Veterans Way. With the changes to our programming initiatives, the Parks & Recreation Department is revamping our website and online registration software. Until this is complete, registration for any special event can be done over the phone by calling 215-443-5428. 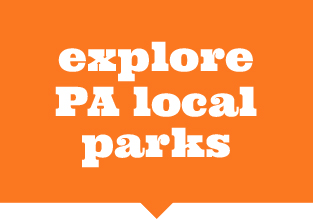 Warminster Township Parks and Recreation Department offers discount tickets to various amusement parks, attractions, and ski resorts, click here to view price list and availability. Tickets are sold Monday through Friday from 9 AM to 4 PM at the WREC@WCP. No refunds or returns – while supplies last. Movie Tickets are sold for $9.50 each at the Parks & Recreation office, Monday through Friday, 9:00 AM-4:00 PM. These are Premiere tickets for Regal Cinemas, United Artists and Edwards Theaters and may have some restrictions for 3D or IMAX movies. There are still a few facades available in Warminster Parks & Recreation’s Safety Town at Warminster Community Park for a 5-year lease period. Business sponsorship is also being sought for recyclable benches, a shed for big wheel/trike storage and a sunshade. If interested, contact the Parks & Recreation Department for more information. Annual Dog Licenses and Bark Park Paw Passes are available for purchase in the Parks & Recreation office, Monday through Friday from 9:00 AM-4:00 PM. Bark Park classes are now forming for new members. Check on line for more information: www.warminstertownship.org/barkpark. Warminster Parks & Recreation recognizes the value of commemorating life experience. In response to many resident requests, the Township is proud to announce the addition of a memorial bench program to our memorial tree program. Throughout our community parks, newly planted trees and benches made from recycled plastics are being installed to provide comfort to park visitors to enjoy not only the shade but various views of our parks. Click here to download the memorial tree form. Today, many people buy a memorial gift of a bench to honor the memory of a lost relative, pet or fallen soldier or to celebrate a joyous occasion, accomplishment, family milestone or new addition. Often they are placed in a park where relatives and friends can visit. If you enjoy a particular park and wish to place a lasting memorial, consider donating a bench or tree to the community. Click here to download the memorial bench form. For weather closings and program cancellations at the WREC, listen to KYW News Radio, 1060 AM, Fox 29 News or check Channels 22 or 45, or the Township website at www.warminstertownship.org. Just listen or watch for our name and message! We are unable to give refunds or credit for emergency or weather-related cancellations, or other circumstances beyond our control. However, we will make every possible attempt to reschedule the event. Warminster Parks & Recreation recognizes the importance of recreation for everyone. Many of our facilities are barrier free. We will, to the best of our ability, adapt our parks, trips, and special events to make them accessible to persons with special needs. We invite physically challenged persons to let us know what kinds of adaptations we can make so that as many people as possible can enjoy quality leisure services. •TDD for the Hearing & Speech Impaired: We can be reached by contacting the Pennsylvania telephone relay service at (800) 654-5984. •Sports for Individuals with Disabilities – Information on organizations serving physically challenged athletes is available at these websites: www.dsusa.org: www.disabled-world.com/sports; www.dasasports.org; www.mageerehab.org: www.wheelchairnet.org: or search: Disabled Sports. Warminster Township Parks & Recreation Department provides a series of year-round special events to all local residents. Pre-registration is required for some events as listed. Sponsorship and volunteer opportunities are available for most events. For more information, contact the Parks & Recreation Department at 215-443-5428 or visit our offices at WREC@WCP, 1100 Veterans Way, Warminster. In order for our events to be successful, we are seeking volunteers who wish to assist. No worries about the time commitment – it can be as little as a half hour to multiple hours and on a flexible schedule. Let us know if you are interested by contacting the Parks & Rec office at 215-443-5428. Please be aware youth programs may require a background check. Wine and Cheese Designer Basket Bingo on 02/22/19 is SOLD OUT! If you wished to be placed on a waiting list, please call the Parks and Recreation office at 215-443-5428. WINE & CHEESE DESIGNER BAG BINGO! Tickets include – 20 games of Bingo with chef’s choice hors’ oeuvre buffet and beer & wine bar from 6:30-9:30 PM. (Must be 21 to Play/Enter). Space is limited and sells out fast! 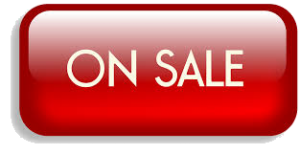 Order tickets on Dec 1 by calling (215) 443-5428undefined with a credit card. If you would like to sponsor a bag or donate towards the purchase of a bag to be used as a prize, please call the Parks & Recreation office at undefined. Special note: Although this event has long been a Longaberger basket event, it appears that they are no longer in business. Keep Pennsylvania Beautiful by coordinating or volunteering for a community cleanup, any day, April 1-May 31, 2019. Volunteers are invited to clean up park & public areas in the community. Parks & Recreation will supply volunteer certificates, safety vests, gloves & trash bags (courtesy of PennDOT) to all who register. Contact the Parks & Recreation Department for more info: (215) 443-5428. Location: Warminster Community Park Empty your garage and bring it to WCP for our community yard sale. Pull your car into the assigned 20’x20’ space, unpack and start selling from your car! Vendor check-in begins at 6:30 AM and vendors are responsible for tents, tables and chairs – we just provide the space. Last year we had over 500 cars of shoppers at each sale. Shoppers enter using the Hatboro & Bristol Roads special event entrance – gate opens at 8 AM. Sunday, June 9 and Saturday, September 14, 2019 • 10 AM-1 PM @ Warminster Community Park – use the 350 E. Bristol Road entrance at Hatboro & Bristol Roads. The Township has teamed up with PAR Recycle Works to provide an electronics (e-waste) recycling event to area residents. Bring your outdated or obsolete appliance or electronic devices such as computers, printers and cell phones. For more information about PAR Recycle Works and to determine what items will be accepted, go to their website: www. par-recycleworks.org. Drop off is free, except for certain items like small CRT monitors-$30; televisions up to 40”-$45; anything in an enclosure or over 40”- $65. Questions about fees should be sent to info@par-recycleworks.org. This event is very popular – be prepared to wait 30-45 minutes for drop off. Parks & Rec and Citadel present this hilarious family event for its 24th consecutive year. Rubber Duckies float ¼ mile down the Neshaminy Creek to compete in a race to the finish line. First 4 ducks to cross the finish win a cash prize. Official ducky number tickets may be purchased online or at Citadel on Street Road, the WREC@WCP, and Library. TICKETS: $5.00/ Ducky or 5 Duckies for $20.00. Join Park & Rec for the “JUST DUCKY PICNIC” prior to the Rubber Ducky Regatta. Families are invited to bring a picnic lunch and we’ll supply dessert with help from Perkins Restaurant & Bakery, A-1 Pest Control, and Rita’s Water Ice. Monday, May 27, 2019 @ Township Bldg., 401 Gibson Ave. PARADE ROUTE!! Starts at the Township Building, east on Henry Ave, north on York Rd, east on Street Rd, north on Louis Drive, parade ends at the VFW Post on Louis Drive. For more info, call Ron or John @ VFW (215) 773-0693.
cucumber, zucchini, eggplant or squash and would like to enter it in our contest, stop by the WREC, Monday-Friday from 9:00 AM-4:00 PM to weigh in your champ. A prize will be awarded to the winner in each category. WARMINSTER DAY CELEBRATION – 2019! Join our event sponsors, Cowhey Family Shoprite and Gilmore & Associates, Inc. to celebrate with us on Saturday, June 8, 2019 at Warminster Community Park! Family & Musical Entertainment, Food Trucks, Children’s Games, Fire & K-9 Demos, Clowns, Magicians & Jugglers, Community & Business Vendors, Plenty of Parking! Businesses: If you would like more information on sponsorship packages or wish to become an investor in the future of the park, please give the Parks and Recreation office a call at (215) 443-5428. Volunteers: Everyone is welcome to assist with this project. Whether you’ve got a few hours to spare the day of the event or want to devote the next 5 months of your time, please contact the Parks & Rec office at 215-443-5428. Watch the township website for more information on volunteers, sponsorship and a schedule of activities. Warminster Township and the Bucks County Tennis Association (BCTA) will once again partner in 2019 to provide tennis programs at Munro Park. Programs will start mid-April and will run through mid-October for both youth and adults. All skill abilities welcome! Program specifics, including dates and times, will be posted in early February at www.buckscountytennis.usta.com and Warminster Township website with registration opening March 1. Fun and fitness for friends and families ages 4 to 94-plus! Figure Skating lessons include a half-hour group lesson and a half hour of practice each week. Skate rental & USFSA Basic Skills Package are included. On first day of class, participants should arrive at the rink a half hour early for on ice class assignment and orientation. Ice Hockey participants should have some minimal skating experience. It is important to learn the basics of hockey skating before one can hope to handle the stick and puck on the ice. Each class will be broken into 3 separate skill sections – skating; stick handling & puck control; and organized scrimmage. Full equipment required: Hockey skates, USFSA approved helmet w/face mask, mouth guard, hockey gloves, elbow pads, shin pads, & stick. Private half-hour or hour-long lessons will be held at DeLuca Music Academy at their Hatboro location at 54 S. York Road. Call for more info and set up your lessons: (215) 674-1401. Mention that you saw Music Lessons in the Township Newsletter when registering and get one class FREE! simple songs and melodies, sight reading and theory. We balance musicianship and fun by making sure that each lesson you are challenged with a new technical or theory concept, but always end with something fun such as your favorite riff or song. We use a variety of guitar method books to accomplish this and encourage students to bring recordings of music they enjoy. Our piano teachers teach a variety of styles from classical to popular music to jazz. Whether you want to learn Bach or Alicia Keys, our teachers are happy to help you become the pianist you want to be. Our piano faculty will show you the fundamentals of sight reading, technique and theory, but they will also incorporate your favorite songs into your lessons. You do not have to have a piano at home to take lessons. A simple full size electronic keyboard will suffice. Our piano teachers have warm personalities and enjoy sharing their love for the piano with you. This hands-on program is a joint effort by all the fire stations in Warminster and Warrington Townships to introduce young people to the Fire Service. Participants will learn many things including: hose rolls, carries and packing, fire hydrant operations, fire extinguisher operations, deluge gun operations, self-contained breathing apparatus, pump connections, and many other basic individual and team skills. Contact 215-672-9242 or President93@hartsvillefc.org for more information or stop by one of the fire stations on Tuesday evenings. This page is for requesting a Block Party in Warminster Township. Unless there is a conflict, approved Block Party Forms will be forwarded to the Public Works Department, Police Department and Office of the Township Manager. Please complete the form with as much information as possible. By submitting this form, the applicant agrees to waive and hold harmless Warminster Township from all claims, liability, loss, damages and injury which may result from this event. If you have any questions, feel free to contact the Parks and Recreation Department at 215-443-5428. Safety Town is a miniaturized version of Warminster Township where young children can ride tricycles and big wheels and play in a make-believe town. All the storefronts and street buildings will be local businesses and the safety signs and street markings have been shrunk down to smaller size to help teach the importance of street safety to our youngsters. Stop signs, street lights, a railroad crossing, and pedestrian crosswalks are all included. The buildings have been designed for interactive play. There is plenty to spur the imagination of any child! There are still a few facades available in Warminster Parks & Recreation’s Safety Town at Warminster Community Park for a 5-year lease period. Business sponsorship is also being sought for recyclable benches, a shed for big wheel/trike storage and a sunshade. If interested, contact the Parks & Recreation Department for more information.. Click here to download the sponsorship form. If you are planning a Block Party, please download the “party” form by clicking here, complete online, or stop in the Parks and Rec. office to complete your permit so that you may receive barricades. This ensures a safe and fun event! Picnic Kits are portable sport bags filled with a variety of sports equipment. They are available with a $30/kit deposit. Half of all deposits will be returned when equipment is returned in good order. To reserve your kit, call 215/443-5428. There are several pavilions available for rent in the Warminster park system. Park Facilities are available for weddings, family picnics, sport activities and business gatherings. The Hallowell Pavilion, at Warminster Community Park, is available for groups of 20-100+. All pavilion rentals require a $100 security deposit and a $65 rental fee for Warminster residents ($90/NR) for a four hour period. Smaller pavilions are available at Kemper and Munro at a lesser fee. Permit holders have priority at all park pavilions. If you wish to book a pavilion, contact the Parks & Rec office at (215) 443-5428 for availability and download the form from the website. (Pavilion Rental Form or a Park Facility Request Form). Parks are open from sunrise to sunset. After dusk, you must have a permit or risk being fined. Parks are officially closed during winter weather conditions. Park parking lots, paths and trails are not maintained and may remain snow and ice covered for extended periods. Surfaces may be slippery. Guests may still access park for winter recreational activities; however, they do so at their own peril. Anti-slip winter footwear is recommended. All Park buildings are winterized annually (restrooms closed, water/electric shut off) by December 1 to reduce the chance of frozen pipes. Porta-potties will be removed from Munro in December, but one will remain on site at WCP & Kemper. Weather permitting, buildings should reopen by April 1. Sport fields in all parks are available by permit only. Persons who wish to use pavilions & fields should apply for permits. Warminster youth organizations and permit holders have priority. No smoking, alcohol or illegal substances are permitted in the parks. To reduce vandalism, park facilities are locked unless park staff or sport organizations are utilizing a park. If you see vandalism, dumping or other hazards, DON’T WAIT!! Please call the Police Department immediately at (215) 672-1000. Please do not feed the wildlife, especially the fox, deer and geese, in the parks – supplemental feeding encourages wildlife to lose their fear of people and become dependent on handouts that are not part of their natural diets. If you see people with their dogs running loose, please call the Animal Control Officer at 267-317-1380 or Police at 215-672-1000. Do not try to intervene and put yourself in harm’s way. The Warminster Bark Park is available to all area residents as a membership program. To participate you must provide veterinarian proof of vaccinations, complete an application, and attend a one-time education session. Fees are $25/Warminster resident and $35/non-resident. Solicitation by vendors, including private fitness or sport instruction, is not permitted in any park. Citations will be issued by the Police Department. Permits are available for a fee. Motorized vehicles, including dirt bikes and ATVs – are not permitted in Township parks. Cyclists must yield to pedestrians on all park trails. Warn pedestrians by loudly declaring “cyclist on your left” prior to passing. Perennials for Parks – if you are dividing your perennials in spring or fall, why not donate the “discards” to the parks to improve our park landscaping. Contact the office for more info: 215-443-5428. Park encroachment – If your residence backs up to a park, please be aware of your property boundaries before installing sheds, pools and play equipment. Items that encroach on park land must be removed at the cost of the homeowner no matter how long they have been in place. No dumping reminder – dumping in the parks or public lands is illegal. Leaves, trees, limbs, trimmings and other yard waste must be removed and disposed of properly through the trash company. Commemorative benches and trees honoring friends, family, pets and others are available for placement in any Township park. For more information, contact Parks & Rec @ 215-443-5428 or download forms from the website: www.warminstertownship.org. Parks & Recreation would like to extend our thanks to the many sport groups, individuals and volunteers who assist with park maintenance. If you have questions about the various projects underway, please call us. The Parks & Recreation Department has secured over $3 million in development and improvement grants in Warminster Community Park. These funds come from several sources – Bucks County Municipal Open Space Fund; PA Department of Conservation and Natural Resources Community Conservation Partnerships Program; the PA Office of the Budget’s Redevelopment Assistance Capital Program and donations from developers and organizations. Planned improvements include a soccer field, 2 baseball fields, a spray park, a pavilion with restrooms, playground, expanded parking, new trails, storm water, and entry drive from Bristol Road. Although we haven’t started construction yet, Township staff and professionals have been working on these grant projects throughout the year. After many revisions, our storm water management plan was approved by PA DEP (Department of Environmental Protection). PennDOT has also approved our plans to make the gate at Bristol and Hatboro Roads a permanent entrance into the north end of Warminster Community Park. Having received these permits, we can now complete the final plans for the projects and submit them to the State for review and approval. In the meantime, the Board of Supervisors is scheduled to review the plans early in 2019, and preparation of the bid specifications and related documents is underway. The DEP review process took longer than we anticipated. We hope to award the construction bids before the end of the summer and begin work on this project before the end of 2019. Residents should be aware that the development of these new facilities in the park may limit access to certain areas during construction, but we will make every effort to have all sections of the park open as safety permits. Weather has NOT been cooperating in the past year, with constant rain and boggy conditions in the parks. We are still working on the ash tree project behind the homes of Log College and Cornell Drives. Consistently wet conditions have not allowed equipment access and the project has stalled until ground is frozen. Hopefully 2019 will not be as wet and the project can be completed in a timely manner. In January, the Friends launched their Hometown Hero Banner Program. Banners are available to active service members and veterans who have lived in Warminster or have family living here. For more information on the banners, go to the Friends website or stop by the Park & Rec office to pick up a form here – www.friendsofwarminsterparks.org or call Parks & Recreation: 215-443-5428. Memberships to the Warminster Bark Park are available for area residents. There are no limits on the number of members who can participate in the Park. Paw Passes (electronic key entry FOB) are available for annual fees (Jan.-Dec.) of $25/Warminster resident household/year ($35/Non-Resident). New members are required to complete an application, provide copies of current County license and vet certificate of vaccinations, pay an annual fee and attend a Bark Park workshop. These 60-90-minute workshops are provided FREE by a certified trainer so that area members and their canine friends get the most of the dog park experience. In exchange, members receive the Rules and Regs, Bark Park etiquette & safety info, a Bark Park ID tag and a Paw Pass electronic gate FOB. Hours for the park will be 7:00 AM-Sunset – weather and conditions permitting. The Bark Park has been designed to include two (2) separate fenced-in areas for the large and small dogs to run off-leash and include pavilion coverage, water (in season) and benches. For more information on registration, regulations and class dates check out the website @ www.warminstertownship.org/barkpark. CLEAN UP, NO EXCUSES! – Keep the dog park clean and more importantly our dogs healthy. A dog owner should always have bags with them, even if provided at a dog park. Socialization & Basic Commands – Dogs should be fully socialized BEFORE going to the dog park. Dogs should respond to basic commands since a dog must be under the handler’s control at all times when in the dog park. Incident Reports – All incidents must be reported to the police or animal control within 24 hours: 267-317-1380. Only Members Allowed! – To ensure the safety of all dogs, members should not permit others into the Bark Park. You are responsible for any injury or damages done by a non-member. Ordinance #565 regulates animal defecation on public and private property and the disposal of animal feces. Pet owners are required to clean up after their animals, not only in the parks, but on all public and private property in the Township, or face a possible fine up to $1,000. According to Pennsylvania State Law, all dogs three (3) months of age or older must have a current dog license and a current rabies vaccination administered by a licensed veterinarian***. Annual dog licenses (Jan.-Dec.)may be purchased at the WREC, Mon thru Fri from 9 AM-4 PM, at Bucks County Treasurer’s office in Doylestown-(215) 348-6244, or online at www.padoglicense.com. You must provide proof of spaying to receive the discount. As part of the DCNR TreeVitalize program, the Pennsylvania Horticultural Society (PHS), in partnership with Penn State Cooperative Extension, will offer nine hours of FREE hands-on tree care training for residents of the five-county Philadelphia region. For info, visit the website: www.treevitalize.net. More than 80 families have already planted the living memorial gift of a tree or shrub in the park system. These trees commemorate a special occasion, family celebration, or honor the memory of a loved one. If you enjoy a particular park and wish to place a lasting gift to a family member, friend or pet, either living or deceased, consider donating a tree to the community. If you wish to make a tree donation, simply download the form from the township website or call the office and speak with Karen. Several options are available. Memorial trees are installed in early March or after October 15th. With so many people using our parks, we hope to see a reduction this year in the amount of vandalism in the parks. Already Munro, Szymanek and WCP have been affected by useless damage. Instead of spending tax dollars to improve the parks, we are constantly trying to stay ahead of the repair & replacement costs which have resulted from break-ins, arson and general building & equipment vandalism. If you see it happening, do not intervene or put yourself at risk – call the Police! An Anti-Vandalism Ordinance is in place. There is a reward if your information leads to an arrest and conviction. If you see vandalism, dumping or other hazards, DON’T WAIT!! Please call the Police Department immediately at (215) 672-1000 or 9-1-1. WCP has become a haven for many species of birds which have been seen in the park and surrounding areas throughout the year. From January through April, Winter Wren, Brown Creeper, Yellow-Bellied Sapsucker and Golden-Crowned and Ruby-Crowned Kinglets can be found in Kemper Park in winter. Eastern Bluebirds, American Tree Sparrows and Field Sparrows will be in Warminster Community Park. The coldest days may bring Horned Larks, Snow Buntings, Lapland Longspur or American Pipits to large “barren” fields around the Park. Gull flocks may include Iceland, Laughing, Lesser Black-Backed or Herring Gulls with the common Ring-Billed Gulls. A Short-Eared Owl was spotted over WCP recently. Spring migration starts in late March with waterfowl. Check ponds for Green-Winged Teal, Hooded Mergansers and other unusual ducks. A flock of 120 Tundra Swans flew over WCP in a recent winter. And dozens of species of migrants will show up at Kemper Park beginning in April. You may spot a Northern Waterthrush or Nashville Warbler along with the more common Palm and Pine Warblers. PLEASE DON’T FEED THE WILDLIFE! Parks and Recreation is working with the USDA Wildlife Service to protect the health of our park birds and wildlife. Please do not feed the waterfowl (geese, ducks, gulls, etc.) or the deer in our parks. Feeding these wild animals creates dependence, promotes the spread of disease and upsets the natural cycles. Thank you for your cooperation. In numerous parks throughout the system, there are instances of neighbors who have placed woodpiles, sheds, gardens, play apparatus, even swimming pools on park property. If your residence backs up to a park, please be aware of your property boundaries before installing anything. Items that encroach on park land must be removed at the cost of the homeowner no matter how long they have been in place. For residents who back up to our park system, please be reminded that no dumping is allowed. Since public access is limited behind the homes at Barness Park, Devonshire Court, Meadow Run Park, Ivy Woods and Kemper Park, we can only infer that neighbors are dumping in the parks. This practice must cease and desist immediately or you may be cited by our L&I or Police Department. Leaves, trees, limbs, trimmings and other yard waste must be removed and disposed of properly through the trash company. There are now over 5 miles of paved trail at WCP! Maps can be downloaded from the Township website for personal use (click here). Several trails bisect the park to create a multitude of walking, biking and running opportunities. Along the way, you’ll experience some hidden park treasures and enjoy much of the wildlife. Please note the posted trail signs for everyone’s safety! The different Warminster Sport and Civic Organizations operate independently of the Parks & Recreation Department. We do not oversee their operations, set prices or policies, or act as a mediator during disputes. If you have questions, comments or suggestions, please contact each organization. Phone numbers and websites are listed here. The Parks & Recreation Department accepts donations of plants, trees and shrubs before March 30 and after November 1. This allows plants the needed adjustment period before growing season begins or ends. We also have a Tree Memorial program in the park system. If you would like to donate trees, shrubs or flowers, please contact the Parks & Recreation Department at 215/443-5428 or download the Memorial form by clicking here. In response to many resident requests, a Memorial Bench program is now in place. These attractive benches made from recycled plastic can be engraved with a personal message. For more information call the Parks & Recreation Department at 215-443-5428 or download the brochure by clicking here.